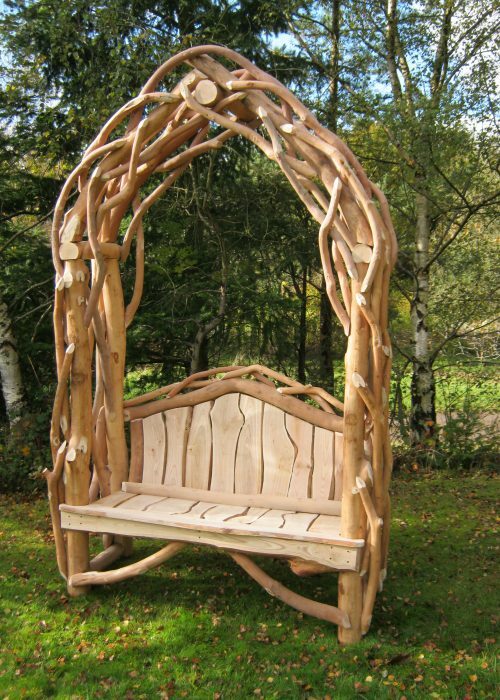 This arch is based on our No.27 Rustic Arch Seat, but with the attractive, eye-catching natural edge as an alternative. Shown here in a clear finish, this product is also available in light brown. Please Click Here for more information and to see a comparison photograph. Our No.42 Natural Lath Arch Seat can be made up to a maximum of 122cm/48” inside measure with a depth of approximately 66cm/26”.